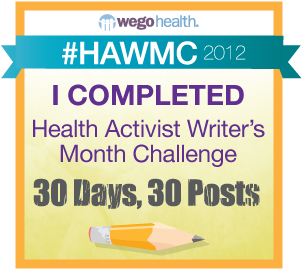 Today is Day 1 of the 3rd annual Diabetes Blog Week. I am super-excited to be participating again this year. Last year was my first year, in fact it was my first week at blogging!! I was able to find many of your blogs through Karen's great idea! Today's prompt is about connecting. 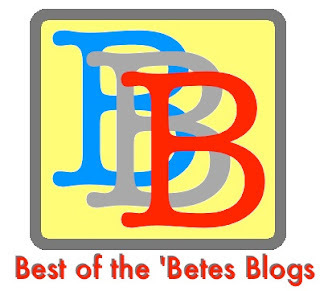 In Karen's own words, "It seems the most popular thing about Diabetes Blog Week is that it helps us find blogs we weren’t reading yet and connect with some new blog friends. With that in mind, let’s kick off Diabetes Blog Week by making some new connections. Think about the d-blogs you read that you think we may not know about and introduce us to one that you love!! Let’s all find a new friend today! 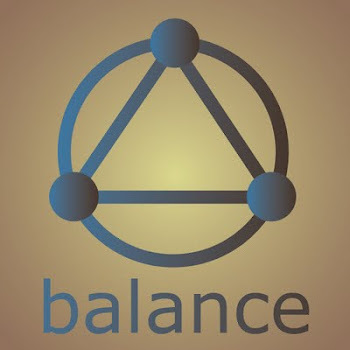 (Special thanks to Gina, everybody’s Diabetes BFF, for helping me title this post!)" I'm not really sure how I found this blog. I do know that I have been reading her for quite some time. She is a T1 Diabetic. Has been for many years. However, her blog is not specifically Diabetes related. She slips it in now and then, but mostly she just writes about her life. I find her dry sense of humor to be refreshing. She is "real", and this comes through in her writing. She lives in Australia, has grown children, a husband, and likes to travel. May I introduce you to Fraudster, of Fraudster's Musings. I hope you take a peek, and enjoy her musings as much as I do! I found a lot of new blogs thru d-blog week last year also. Not sure how I am going to keep up if I keep finding more! I wish have to check out Fraudster's blog though - I especially like real people! Thank you Kim! Her blog is now on my list!